The Walking Dead | Interview with Norman Reedus Daryl Dixon. 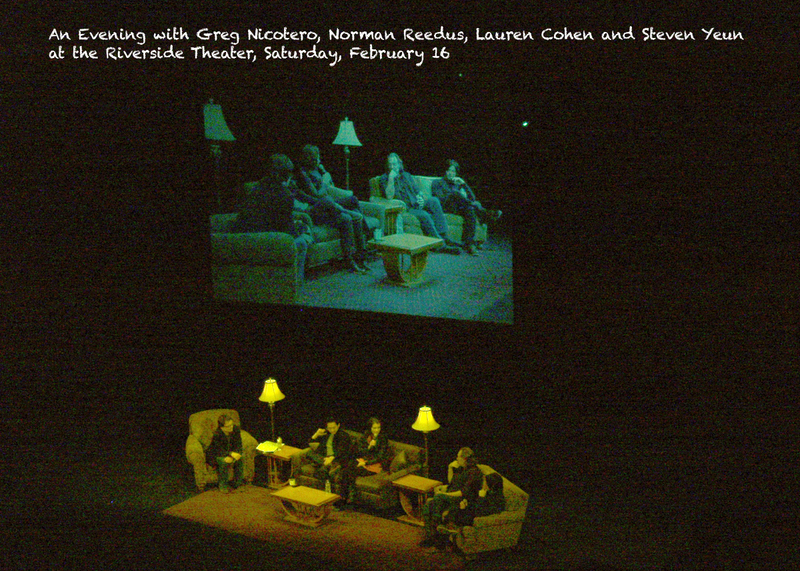 On Saturday, Feb. 16, I spent an evening with Greg Nicotero, Norman Reedus, Lauren Cohen and Steven Yeun. Milwaukee was on one of their city tours and they happened to be here for a two-show date. I went to their early show and I was glad I did. Apparently it was more orderly than the 10pm show. It was, at times, extremely hard to understand what they were saying, but at least the 7pm audience knew how to behave. Greg Nicotero is by far, one of the most interesting people I know. The guy who was playing “host” (I think he said he was from the Onion) was about about as interesting as a box of hair. The first 60+ minutes was the box of hair talking in generalities and then the last 30 minutes he was asking the “panel” questions that had been submitted via Twitter. It seemed he was smart enough to at least pick a few questions that proved he had some brain matter. Steven Yeun told a funny story about being at the airport and playing with his phone and a young brother and sister were talking to each other …”that’s him”… “are you sure?” … “yeah, I know that’s him” … like he wasn’t even there. Finally he just said to them “do you watch the show?” and freaked them out like they thought he couldn’t talk. Norman Reedus shared with us some of the weird things people send him; one woman sent him her breast implant. When you click on the link and read the interview with Norman Reedus he talks about stuff he gets in the mail from people and that he gives a lot of that stuff to Chandler Riggs. Greg Nicotero said he received a 3+ page letter from a fan that had an extensive, detailed description of her perfect walker, which he plans on using in the final episode. So you know what that means, right? Let’s all watch for it. Does Someone Have Your Number? Someone’s Got Your Number? Check Out: NumberGuru « AirportsMadeSimple™. Do you have an Android, iPhone or Windows Mobile phone? Do you keep getting pesky phone calls and you don’t know who it is … and if you did you’d give them a piece of your mind? Want to know if they’re spam or telemarketers? From our friends at AirportsMadeSimple™, posted on February 5, Someone’s Got Your Number? Check Out: NumberGuru. In the body of the post there’s a CLICK HERE that will take you to the site where you can sign up for FREE! As I was watching the Season 2 marathon of The Walking Dead, I discovered there were some parts of a few episodes that caused me to do a rewind. Here they are. Other things I noticed in this episode was the superb acting of Sarah Wayne Callies (Lori Grimes). This is the episode where Carl has been shot and the group en masse discover the farm. Once Maggie delivers Lori to the farm, Rick meets her outside and the two share a parent moment over Carl. Lori goes to see how Carl is doing and her acting has you believing Carl is HER SON. She lays down next to Carl, draws Rick in around her and draws the audience in as well. Episode 6 – Secrets – When Andrea finally learns to “focus” when shooting and becomes a full fledged, card carrying Amazon warrior and jumps Shane’s bones in the car on the way back to camp. Episode 7 – Pretty Much Dead Already – The load of responsibility is really getting too much to bear on Rick when after the shoot out of the walkers at Hershel’s barn, Carol’s daughter Sophia shuffles out at the very end. No one but Rick has the compassion to raise his gun and do what desperately needs to be done. Episode 10 – 18 Miles Out – Rick and Shane fighting in the yard where they take Randall to drop him off. This was almost like a Laurel and Hardy moment only with the threat of zombies in the mix. Morrissey rules as The Governor in Walking Dead – Road Runner. Here’s an intimate interview with David Morrisey, The Governor from The Walking Dead. There’s quite a bit of past work listed as well. If you listen carefully, you can almost here that wonderful English accent. 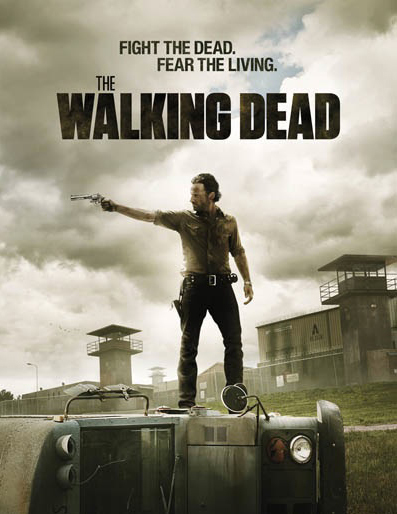 The Walking Dead Marathon is happening now, continues through the night and picks up tomorrow with Season 3. AMC Celebrates Return of The Walking Dead with Zombie Finger Giveaway. This image and story hit the airways today with a bang! I first saw it on Creativity Online, an online newsletter of digital AdAge. When I Googled it to try and find a better picture, hundreds of hits came up. Everyone was talking about it. Randy Matheson was one of the few who mentioned the contest (it almost makes me wish I could grab a train to Toronto just to take a picture with it). This is a prime example of just how cheeky things are getting with the upcoming premiere of The Walking Dead on Sunday.